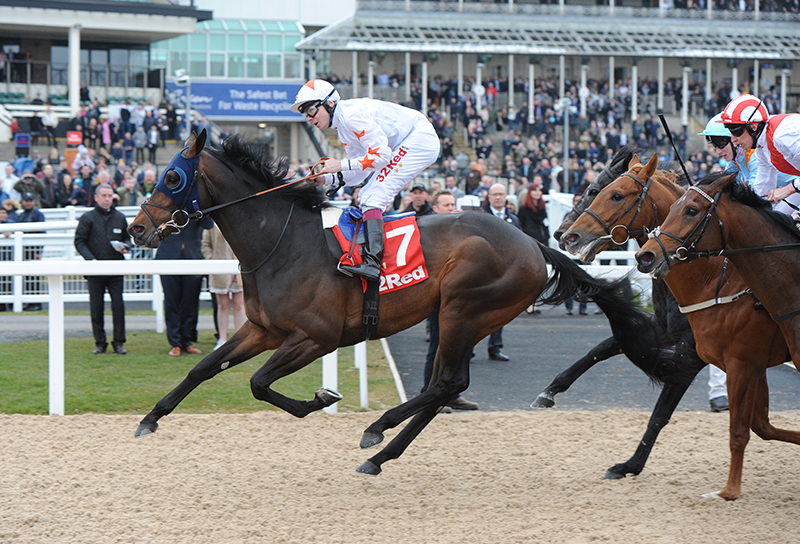 Newcastle Tapeta Winner Gronkowski (USA) to miss Kentucky Derby and head to the Belmont Stakes! Gronkowski (USA) who won his Kentucky Derby Trial at Newcastle Racecourse (England) on the Tapeta surface will miss the 144th Kentucky Derby in the USA on Saturday May 5th and instead head to the Belmont Stakes at Belmont Park on Saturday June 9th . Named after Rob Gronkowski the NFL New England Patriots star and owned by Phoenix Thoroughbreds and now Rob Gronkowski after the Footballer bought into the horse, we wish the Tapeta winner the best of luck in the Triple Crown race! http://www.tapetafootings.com/wp-content/uploads/2018/04/Gronkowski.jpg 544 800 Neal Walsh http://www.tapetafootings.com/wp-content/uploads/2018/04/Tapeta-Footings-Logo-black-1.png Neal Walsh2018-04-26 12:07:582018-04-26 14:52:40Newcastle Tapeta Winner Gronkowski (USA) to miss Kentucky Derby and head to the Belmont Stakes!